The Times-Dispatch fears Pat Robertson's wrath. | 30th Anniversary Issue | Style Weekly - Richmond, VA local news, arts, and events. Hampton Roads-based religious broadcaster Pat Robertson famously prayed publicly that a hurricane headed for Virginia would hit Long Island instead. What vengeance would the television evangelist bring on the Richmond Times-Dispatch? That must have been the question the newspaper's editors debated in the fall of 1986. Style reported that the paper refused to run a week of "Doonesbury" comic strips poking fun at Robertson, then a presidential hopeful. 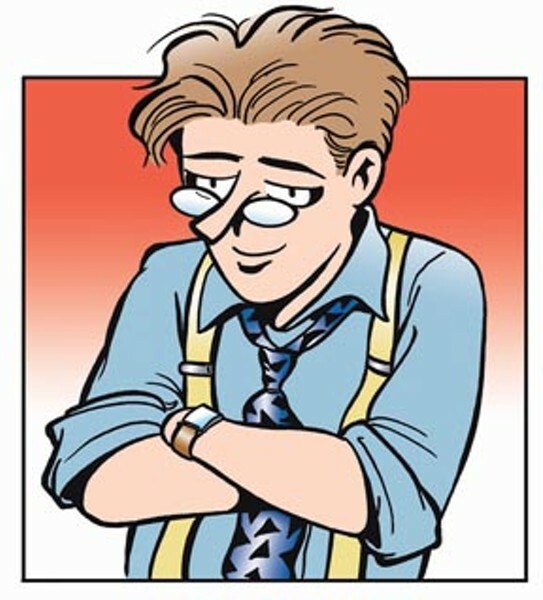 The strip by Garry Trudeau showed Robertson curing a reporter's hiccups and then announcing: "The Lord God has personally asked me to consider running for president." Times-Dispatch Executive Editor Alf Goodykoontz told The Associated Press the strips, one of which contained the word "hemorrhoids," would be "extremely offensive to thousands of our readers. It contains language we would not permit in articles published in the paper; it is sacrilegious and, in my judgment, goes far beyond the bounds of acceptable satirical comment." When Style sought permission to run the banned comics on its pages, the Times-Dispatch refused. Goodykoontz said, "It really wouldn't make any sense for us to buy features to run in other publications."